This month was an unforgettable time of celebration, prayer, and healing. First, on Mother's Day weekend, we celebrated the love and sacrifices of all of our mothers at all of our campuses. We honored birth moms, adoptive moms, foster moms, single moms, and step moms; and this year, for the first time we gave a special gift to care for and grieve with moms who lost a child. Then, on May 19, over 350 people attended Hope Rising, an event for those impacted by mental health. This one-day gathering was the first of it's kind by any mental health authority. This experience was designed to be a community of care and support for anyone living with mental illness, through music, art, story, silence, laughter, prayer, and conversations. The sold-out event highlighted several speakers including Kay Warren, music by Sara Groves, visual art workshops, and roundtable discussions with trained professionals. Most importantly the gathering provided a place to build connections with those on the same journey towards hope. Lastly, on May 20 and 21, Pastor Rick hosted a historic service called, “Living An Anointed Life,” based on one of the most famous passages in the Bible, Psalm 23. At the end of the message, over 6,000 people at all of our campuses accepted the invitation from Pastor Rick to receive prayer and anointing with oil for physical, mental, emotional, financial, and relational healing. This was a mountain-top experience for hundreds of Saddleback members and volunteer ministers as they administered the anointing prayer. This was not only a beautiful demonstration of God's love and faithfulness, but also an unforgettable image of the care and support of a church family. Through this spiritually historic month at Saddleback, God brought us hope for today, for tomorrow, and the day after. 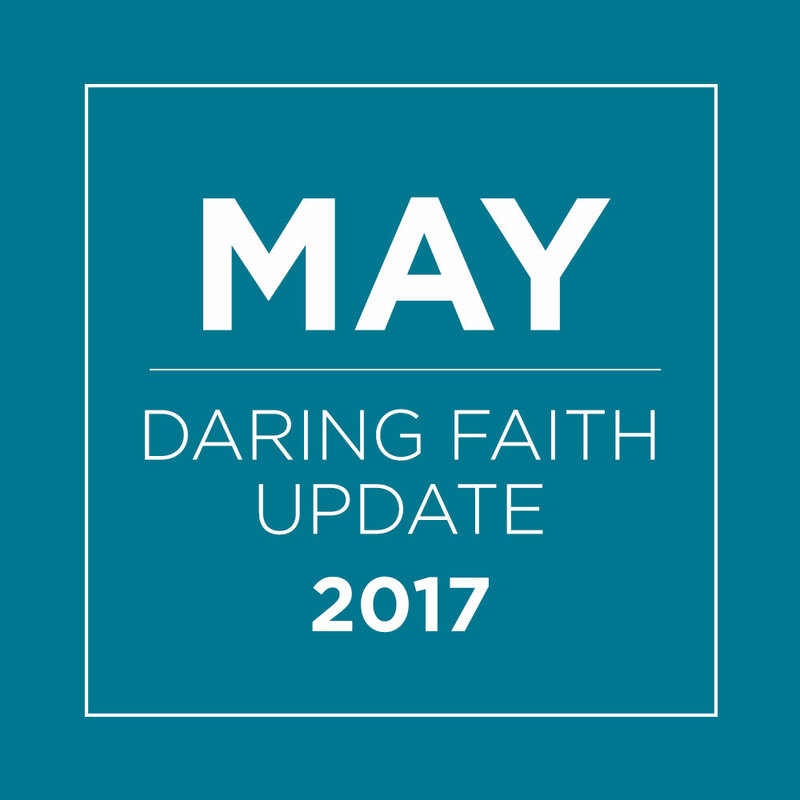 Find out some of the other ways God showed up this month through YOUR Daring Faith. Our church family continues to grow as we remain faithful with our faith goals. Our Saddleback campus in Corona is actively looking for a larger worship space to accommodate the growing community. In addition, our Campus Launch Team is on the hunt for venues around the areas of Brea, Fullerton, and Yorba Linda to launch our next Saddleback campus this fall. Please pray that God leads us to the right location to reach the community for Christ. On May 27, we kicked off Camp Hope summer events and family-fun activities. This outdoor campfire and picnic area at Saddleback Lake Forest is the ideal opportunity to invite someone to church in a comfortable setting as we help fill God’s House. The Saddleback Food Pantry just celebrated its 8th anniversary, and within that time period we’ve provided food to over 70,000 families and have seen over 2,100 people become followers and believers of Jesus Christ. We couldn’t have done it without the generous contributions of our church family. In order to continue God’s work in this ministry, we hosted our annual Food Drive from April 22–May 14. Nearly 40,000 pounds of food were donated by our regional campuses, but you’ll never guess which one took the prize for the most food collected! Click HERE to find out more. Just in time for summer, our 201 Spiritual Maturity Team released the Spiritual Growth webpage, which includes the new training podcast, Doable Discipleship. Hosted by Spiritual Maturity Team Pastors, Rob Jacobs and Doug Jones, the podcast is designed to help members deepen their friendship with God through informative conversations and personal spiritual disciplines. Each week, the podcast features special guests offering insight on gaining spiritual footing in the journey with Christ. This month, we’re also excited to share news about the Purpose Driven Church podcast, Touring For Purpose. Hosted by Purpose Driven Pastor, Mingo Palacios, the podcast was birthed out of road-trip conversations with church leaders in the Purpose Driven RV bus. What started out as deep discussions has turned into one of the most powerful and honest podcasts for the next generation. With only 25 episodes now in the bag, the show has already received as many as 50,000 listeners since they launched. Click HERE to find out how you can spiritually grow from Doable Discipleship and Touring For Purpose. Month after month, our members show their commitment to meeting our Daring Faith “T” goal. Saddleback Irvine North and Lake Forest trained members at the New Host Gathering, a pilot program being tested at these two campuses. Held in a comfortable, living-room style setting, the meeting trained members with the latest coaching materials developed by Saddleback’s Central Team. Click HERE to learn about our May training events with Small Group Hosts and Visual Arts Ministry, and how you can benefit from this New Host Training scheduled to release in the coming months. On May 17, Pastor Rick invited small group hosts and leaders to a special training on biblical anointing. Held at our Lake Forest Worship Center, over 600 people attended the gathering on how to pray for those who are being anointed. The training was then sent out and used at all of our campuses. At our May 20 and 21 Saddleback services, leaders put into practice, “You anoint my head with oil”. The message was part of our Psalm 23 series, Living in the Goodness of God. Learn MORE about this powerful gathering that trained our leaders to serve through anointing. To help reach our “H” goal, Saddleback’s Purpose Driven (PD) Team is working together with International Partnering Churches (IPCs) to fulfill the Great Commission across the world. This aggressive plan is coming together with remarkable stories of faith and obedience rising out of IPCs and African countries that have adopted the PD movement. This month marked the official launch of Purpose Driven in Côte d'Ivoire, in Macedonia, and in Uganda. 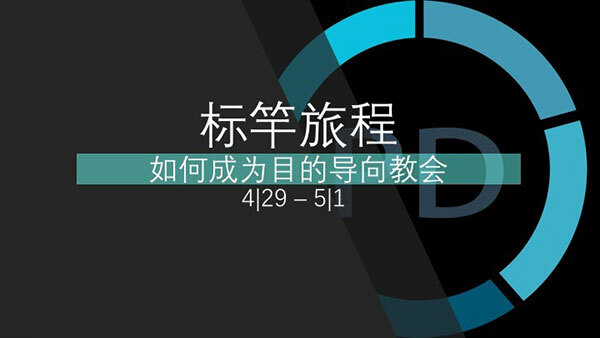 Plus, nearly 80 church leaders gathered in Wenzhou, China for the city’s first ever Purpose Driven Church conference! The Purpose Driven movement shows no signs of slowing down. In fact, we’re gearing up to launch PD in Argentina, Colombia, Costa Rica, Brazil, Kenya, Congo, and Philippines. While the momentum to bring PD principles to foreign nations continues, the impact of the movement in our own backyard has surpassed anything we imagined. In less than a year, over 300 Spanish-speaking pastors have been trained in PD Essentials. FIND OUT how this new wave of training is transforming churches around the world. Thank you for your ongoing commitment to Daring Faith. YOU are the reason we can make a difference through these five God-inspired goals. Click HERE for this month's story of Daring Faith, and find out how lives are being transformed because of your sacrifice.